First line: Typewriter girls, they oughtn't think too much. From the back cover: All Betsey Dobson has ever asked is the chance to be viewed on her own merits, but in a man's world, that is the unforgivable sin. When Betsey disembarks from the London train in the seaside resort of Idensea, all she owns is a small valise and a canary in a cage. After attempting to forge a letter of reference she knew would be denied her, Betsey has been fired from the typing pool of her previous employer. Her vigorous protest left one man wounded, another jilted, and her character permanently besmirched. Now, without money or a reference for her promised job, the future looks even bleaker than the debacle behind her. But her life is about to change...because a young Welshman on the railroad quay, waiting for another woman, is the one man willing to believe in her. My thoughts: I wasn't sure what to expect with this book. I enjoy reading about independent women trying to make their way in life and so when I got the book, it looked like a promising read. It does start off a bit slow, but about halfway through, the pace picks up. Betsey is trying to make her way in life. She is an independent, smart, resourceful woman who manages to get a job offer to work as a tour manager for a seaside resort - a job that finds her constantly having to prove herself. It seems that bad luck seems to follow her and she manages to get herself into some interesting yet humorous fiascos. The only one who does believe in her is John Jones, her boss. John has spent the past few years building this resort, his vision often at odds with the higher-ups. He is also trying to find himself a wife - but not just any wife, someone who will help him move up in social status. Little does he know that the heart wants what the heart wants. I enjoyed getting to know Betsey and John and all the other characters in Idensea. There were some that were immdiately likable, like Sarah and Dora Pink, and some that you just couldn't like, for example, the young lady John was originally planning to marry, Miss Lillian Gilbey, and Avery Nash, the man Betsey was involved in prior to her leaving London for Idensea. Each chapter starts with a tip about typewriting from a book called, How to Become Expert in Type-writing by Mrs. Arthur J. Barnes (which seems to be a real book, although there are limited copies available). This was actually my favorite part of the book. Some were clearly written for using an actual typewriter - dealing with the carriage, bell, ribbon, loading the paper, etc, and others could be applied to typing, or even life, in general - "if you form a careless habit in the beginning, you will probably always keep it." Also, the chapter numbers and even the word typewriter on the cover are reproductions of the keys on an actual typewriter - how clever! I remember taking a few typing classes in junior high and high school, using a typewriter and not a word processor or computer. Those classes taught me the typing skills that I still use today and I enjoyed them! This is a good debut for writer Alison Atlee and I will be interested to see what she writes next. I do wonder if she ever used a typewriter herself. While looking at her website to see if she addresses this, I found that she has a board on Pinterest called The Typewriter Girl Illustrated where you can experience Betsey's world through the places, fashions and events that inspired the story - I loved this and I hope you will check it out! 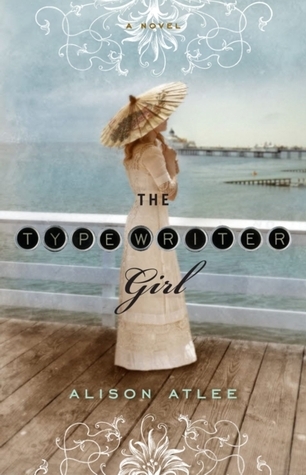 I received a complimentary copy of The Typewriter Girl by Alison Atlee from Stephanie at Gallery Books. Thanks to Stephanie at Gallery Books, I have one copy of The Typewriter Girl to give away to my readers. * Mandatory entry - leave a comment telling me if you've ever used a typewriter. 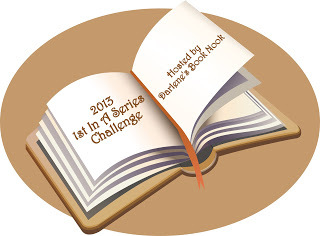 * Extra entry #1 - become a follower of Always With a Book. If you are already a follower you will automatically receive the bonus entries (just leave the name you follow under). 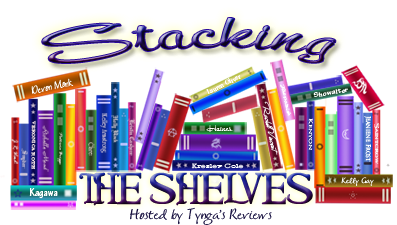 * Extra entry #2 - please help spread the word by blogging, posting on sidebar, tweeting, pinning onto Pinterest or posting this giveaway on Facebook (each way you share gets you 1 more entry). All entries can be in one email. 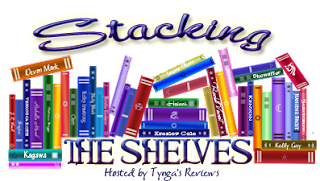 The 2013 1st in a Series Reading Challenge is hosted by Darlene's Book Nook, and it goes from January 1, 2013 through December 31, 2013. I love reading series and love finding new ones to read! I'll be joining at the Series Lover level, which means that I have to start 10 series. I'll keep track of them here. I'll also link my reviews to the list. I will add the titles and reviews of each book that I read after I finish them...hopefully I will be successful with this challenge! First line: The goat was Connie's idea. 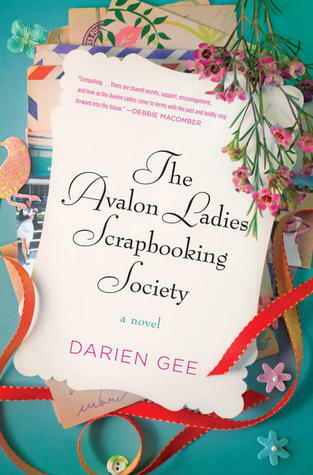 By turns humorous, wise, and deeply moving, The Avalon Ladies Scrapbooking Society is a luminous reminder that the things we hold most dear will last a lifetime. My thoughts: I read Darien Gee's debut novel Friendship Bread when it first came out and have been waiting patiently for her next Avalon book. I fell in love with the characters we met in that first book and loved Madeline's Tea Shop - oh how I wished I could stop in for a nice cup of tea and a snack! Luckily, Madeline and Connie are a big part of the story in this installment. Many scenes take place at the tea shop and I felt like I was getting my visit after all. I also loved the idea that this time around, instead of people getting a starter kit for the friendship bread, they were given starter kits for scrapbooking. As someone who scrapbooks (although not quite enough in my opinion), I could relate to the many uses of a scrapbook and have made all different types of scrapbooks. We also get to know a whole new cast of characters that play a major role in this book. Each character is dealing with their own set of issues - everything from international adoption, to divorce, to death of a spouse, to old-age medical issues, to dealing with family problems. It's very easy to get caught up with everyone's problems and hope they find their happy ending. Like a good cuppa tea, this is a book to be savored and not rushed through. While it is filled with some quite humorous moments, it also has some touching scenes - some that even had me more than a little teary-eye and I can't remember the last time I actually cried while reading a book. I hope that Darien Gee is planning on writing more about the folks of Avalon. In the meantime, I definitely plan on doing some scrapbooking soon - the whole time I was reading this, I kept thinking - I really need to get my stuff out and get scrapping! Thanks to Lindsey at The Random House Publishing Group, I have three copies of The Avalon Ladies Scrapbooking Society to give away to my readers. * Mandatory entry - leave a comment telling me if you scrapbook or do you have another hobby you enjoy doing (besides reading). First line: It began with smoke. Synopsis: From her earliest days, Margaret Tudor knows she will not have the luxury of choosing a husband. Her duty is to gain alliances for England. Barely out of girlhood, Margaret is married by proxy to James IV and travels to Edinburgh to become Queen of Scotland. 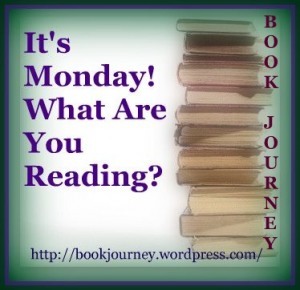 My thoughts: I love all things Tudors and so when I heard D.L. Bogdan had written a book about one of them, I jumped at the opportunity to be part of her blog tour. I was especially excited since it was a book about Margaret Tudor who I was not all that familiar with. I've read quite a bit about Henry VIII, his many wives, and his children Mary and Elizabeth, but nothing about Margaret. Margaret is Henry VIII's sister, who married James, the King of Scotland. Sent away to Scotland at a relatively young age, she is told by her father, King Henry VII, to always remember that she is a Tudor first and the Queen to Scotland second. As we get to know Margaret, we find that what she wants most in life is to find love, especially after having had so much loss in her life - her mother, her brother Arthur, her other siblings who died as infants, and even her husband. Once James dies, her son is crowned King Regent of Scotland and even though she needs to fight for his right to the crown, she gets caught up in her own affairs when love is presented to her again. As fiercely as she fights for her son's rights, she fights to be loved for herself. DL Bogdan writes Margaret in such a way that she is both easily liked and easily disliked. She is at times a smart, intelligent woman who knows what needs to be done but at other times, she is extremely selfish. I also enjoyed the snippets we got of Henry VIII and how he was all about himself and his power. He loved his family, but he loved his power more. This is the second book I've read by D.L. Bogdan and I found myself once again captivated by the story she tells. I will certainly be going back to read more of her work, as well as looking for other books on Margaret Tudor. Have you read anything else on this lesser known Tudor sister? About the author: D.L. Bogdan is an ongoing student of history, musician, and avid reader who enjoys travel, the outdoors, and time with her family and friends. She is a proud wife and mother who makes her home in central Wisconsin. She is the author of Secrets of the Tudor Court, Rivals in the Tudor Court and The Sumerton Women. For more information on D.L. Bogdan and her novels, please visit her WEBSITE. You can also find her on FACEBOOK and TWITTER. Be sure to check out all the other stops on the blog tour and follow the tour on Twitter (hashtag: #ForgottenQueenVirtualTour). I received a complimentary copy of The Forgotten Queen by D.L. 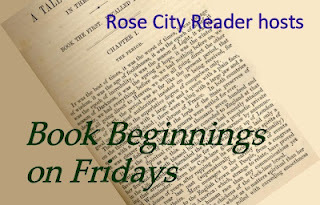 Bogdan from Amy at Historical Fiction Virtual Book Tours. 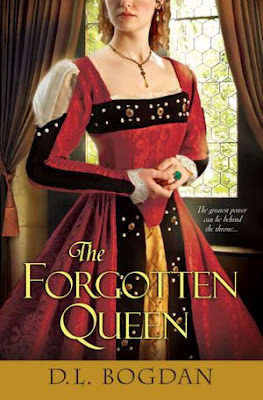 Thanks to Amy at Historical Fiction Virtual Book Tours I have one copy of The Forgotten Queen to give away to my readers. * Mandatory entry - leave a comment telling me what your favorite time period is to read about - I'm always looking for suggestions! I am so excited that the mini-Bloggiesta is this coming weekend. I definitely have quite a few things I need to get done on my blog. I always end up feeling so rejuvenated about blogging after these events! Do let me know if you will be participating - I love seeing what everyone is working on. In other news, I will finally be getting around to watching the first season of Downton Abbey - I know I am really late to this party. Luckily, my dad got all three seasons and sent me the first two - he'll send the third when he finishes watching it. So how many of you watch this show? 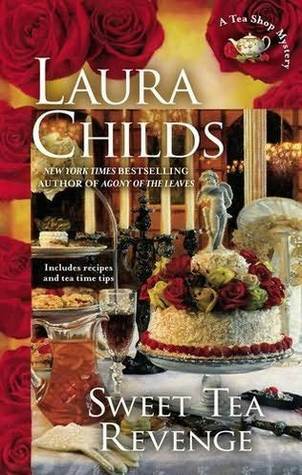 This is the latest in Laura Childs' Tea Shop Mystery series. This is part of the Stephanie Plum series - a between-the-numbers short story. 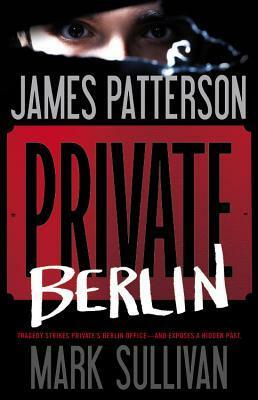 The latest in the Private series by James Patterson! Type-writer girls, they oughtn't think too much. I'm reading this book for a blog tour scheduled for next week. It has a very interesting premise and and I am enjoying it very much. Set in London area during the turn-of-the-century, Betsey Dobson is struggling to be viewed on her own merits - but in a man's world, that is the unforgiveable sin. I remember using an actual type-writer in a typing class in high school...something that is now a thing of the past. I think using the type writer really helped me pay attention to my typing as there wasn't that delete button! Did you ever use a type-writer? From the back of the audiocase: The zany and hilarious Stephanie Plum mysteries from #1 New York Times best-selling author Janet Evanovich are smash hits with fans and critics alike. 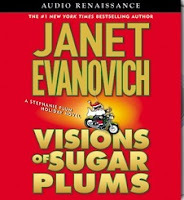 In this wildly entertaining tale, Evanovich's bold heroine pursues an unusual case for a bounty hunter while maintaining her steadfast devotion to Tastykakes. Although she's not quite a detective, Stephanie can't refuse to help a family friend whose daughter and granddaughter are missing. The trail leads to a particularly nasty crook Stephanie is warned to avoid. But what good is a warning if you can't ignore it? Pursued by a thug in a bunny suit, tormented by carefully placed snakes and giant spiders, Stephanie is determined to crack the case - even if she blows up a few cars along the way. 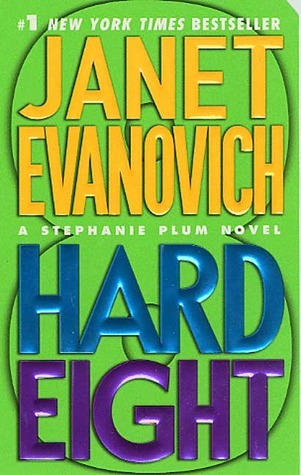 Hard Eight is Evanovich at her hilarious best. In capturing all the Jersey "charm," narrator CJ Critt wears Stephanie's shoes as though they are her own. My thoughts: Oh how I love listening as Stephanie Plum manages to find trouble while trying to do her job. There are a few things I know I can count on when picking up one of these books: there's most likely going to be a car explosion of some sort (most likely a car Stephanie is using), Stephanie will be followed/stalked by some crazy guy, and people will find a way to get into Stephanie's apartment without the key. In Hard Eight, Stephanie is working on a missing persons case on account of her parent's neighbor is worried about her daughter and granddaughter. Of course, she has no idea what taking on this case is going to entail, and the usual hijinks occur, including Stephanie getting shot at. She also gets an FTA that not only can Stephanie not manage to bring in, but the rest of the staff cannot bring him in either. During this installment, it seems that Stephanie and Joe Morelli seem to be in the off-stage of their on-again, off-again relationship. As a result, Stephanie seems to be spending more time with Ranger. He takes her to the shooting range to practice and he has such a good line..."Good...but let's try it with your eyes open this time." I was laughing so hard at this line, I had to back up the cd because I missed what came next! He also decides it's time to settle up for all the help, cars, etc that he has given to Stephanie and boy oh boy does he collect! I can't wait to see what happens next...just how many cars can one person manage to blow up before the insurance companies decided they have had enough and are no longer going to carry her? Audio Thoughts: I am one happy girl having found this one and the next two books in this series that have CJ Critt as the narrator. I doubt I will be lucky enough to find the rest of the series with her as the narrator, but I will enjoy it while it lasts. Perhaps it's because she's narrated the first 5 books of this series that I listened to, but I just feel she does a better Stephanie and all the other characters. It's her voice I hear when I think back to the story. Do you read/listen to any books just for the laughs? 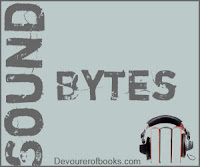 *** Devourer of Books hosts Sound Bytes every Friday - a meme to share the audio books that everyone is listening to. Stop by and you just might find your next audio book! First line: Sheriff Boone Taylor, enjoying a rare off-duty day, drew back his battered fishing rod and cast the flyhook far out over the rushing, sun-spangled waters of Big Sky River. From the back cover: The "First Lady of the West," #1 New York Times bestselling author Linda Lael Miller, brings you to Parable, Montana-where love awaits. Sheriff Boone Taylor has his job, friends, a run-down but decent ranch, two faithful dogs and a good horse. He doesn't want romance-the widowed Montanan has loved and lost enough for a lifetime. But when a city woman buys the spread next door, Boone's peace and quiet are in serious jeopardy. With a marriage and a career painfully behind her, Tara Kendall is determined to start over in Parable. Reinventing herself and living a girlhood dream is worth the hard work. Sure, she might need help from her handsome, wary neighbor. But life along Big Sky River is full of surprises...like falling for a cowboy-lawman who just might start to believe in second chances. My thoughts: This is the third in Linda Lael Miller's Swoon-Worthy Cowboy series and I have to tell you...I've loved Boone Taylor ever since we met him in the first book of the series. I'm so glad he finally got his own happily-ever-after! 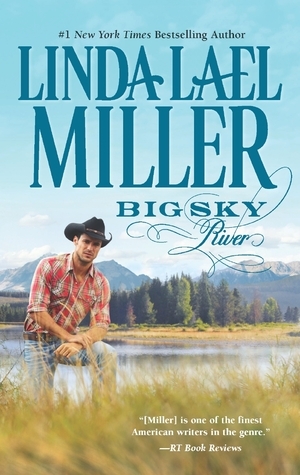 Big Sky River is Boone and Tara's story. When they first met, back sometime during the first book in the series, it was anything but a pleasant exchange. And there is still an adversarial relationship between the two despite the fact that they are neighbors. Now, they find they are in similar positions. Boone has two little boys who have been living with his sister and her family since his wife died. When his brother-in-law needs to go in for emergency surgery, the two boys come to live with Boone in his double-wide trailer. Tara's ex-husband has twin girls who come spend the summer with her in Parable so he can spend time with his new girlfriend. Between finding themselves as "single" parents and the twin girls and the little boys starting to hang out a bit, Boone and Tara start to realize things are changing between them. They soon realize that all those sparks of anger and irritation might just be something entirely different. Boone asks Tara out on a date and things start to heat up for the two. It's such a great journey as Boone and Tara both learn to let go of their pasts and move forward. And the interactions with the kids were great - some humorous and some quite touching. Throughout the story, we also get updates on the characters we've met in the previous books. Parable is definitely the type of town that I would love to live in - that small-town feel with people that really feel a sense of community as is evidenced by an event that occurs in the beginning of the book. Opal still seems to be the one gal that keeps track of everyone and everything. She shows up at Boone's trailer ready to help out when he first gets back to town with the boys and is there every time he needs help. I really hope that one day we get her story - she absolutely deserves her HEA! Hutch, Slade, Kendra and Joslyn also make appearances. I'm looking forward to the next Swoon-Worthy Cowboy book - due out later this spring...there are some hints as to who the book will focus on and I'm curious to see how it plays out. When an author includes the first chapter of their next book at the end of the current book, do you read it or do you wait until the book actually comes out?